Short for very small aperture terminal, an earthbound station used in satellite communications of data, voice and video signals, excluding broadcast television. A VSAT consists of two parts, a transceiver that is placed outdoors in direct line of sight to the satellite and a device that is placed indoors to interface the transceiver with the end user's communications device, such as a PC. The transceiver receives or sends a signal to a satellite transponder in the sky. The satellite sends and receives signals from a ground station computer that acts as a hub for the system. Each end user is interconnected with the hub station via the satellite, forming a star topology. The hub controls the entire operation of the network. For one end user to communicate with another, each transmission has to first go to the hub station that then retransmits it via the satellite to the other end user's VSAT. VSAT can handle up to 56 Kbps. A very small aperture terminal (VSAT) is a small telecommunication earth station that receives and transmits real-time data via satellite. VSAT end users have a box that acts as an interface between the computer and the external antenna or satellite dish transceiver. The satellite transceiver sends data to and receives data from the geostationary satellite in orbit. The satellite sends and receives signals from an earth station, which acts as the hub for the system. Each end user is connected to this hub station through the satellite in a star topology. 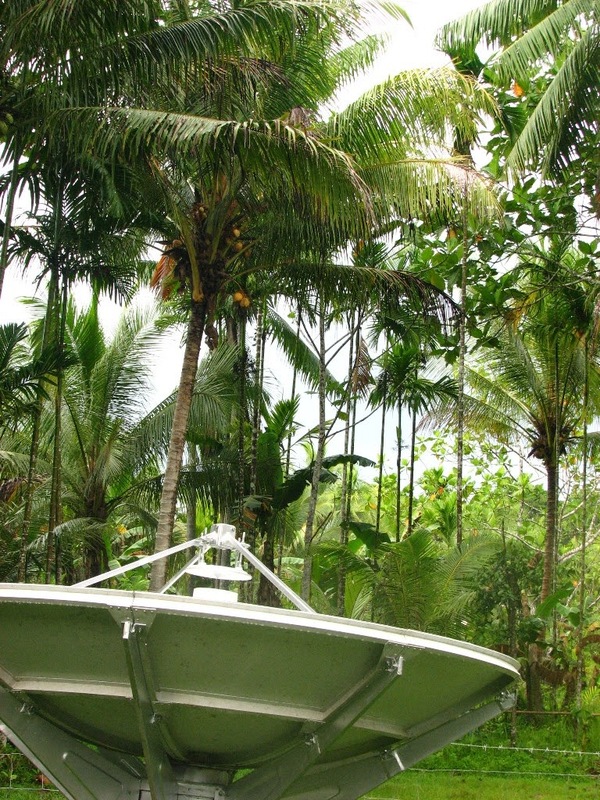 For one VSAT user to communicate with another, the data has to be sent to the satellite. Then the satellite sends the data to the hub station for further processing. The data is then retransmitted to the other user via a satellite. The majority of VSAT antennas range from 30 inches to 48 inches. Data rates typically range from 56 Kbps up to 4 Mbps. Narrowband data. This includes point of sale transactions such as credit card, polling or radio-frequency identification (RFID) data, or supervisory control and data acquisition (SCADA) data. Broadband data, for the provision of satellite Internet access to remote locations, Voice over Internet Protocol (VoIP) or video. VSATs are also used for transportable, on-the-move communications (using phased array antennas) and mobile maritime communications. A very small aperture terminal (VSAT), is a two-way satellite ground station or a stabilized maritime Vsat antenna with a dish antenna that is smaller than 3 meters. The majority of VSAT antennas range from 75 cm to 1.2 m. Data rates typically range from 4 kbit/s up to 4 Mbit/s and sometimes up to a max downlink of up to 16 Mbit/s with some upgraded modules and enhancements. VSATs access satellite(s) in geosynchronous orbit to relay data from small remote earth stations (terminals) to other terminals (in mesh topology) or master earth station "hubs" (in star topology). VSATs are most commonly used to transmit narrowband data (point of sale transactions such as credit card, polling or RFID data; or SCADA), or broadband data (for the provision of satellite Internet access to remote locations, VoIP or video). VSATs are also used for transportable, on-the-move (utilising phased array antennas) or mobile maritime communications. It means that the connection to the Internet is not consistant. This may be caused by a loose wire or other connection, some other hardware problem, or if your connection is shared, there may be enough traffic going through the connection that your machine isn't able to maintain a solid connection to a machine outside of the network. Adjective - starting, stopping, and starting again : not constant or steady.